Business Consulting and Management Training, Thunder Bay ON • Frank. Straightforward business consulting and management training for the real world. Frank cuts through the fluff, gets to the root of your business’ problems, and gives you smart solutions and tools to keep things running smoothly. Time management, motivation, business strategy, change management, conflict resolution, or leadership training; you name it, we’ve got a course, workshop or custom solution for it. Unleash your team’s almighty potential with Frank’s strategic planning, team building, conflict resolution and other workshops. Optimize communication skills and productivity with hands on activities that get you thinking and working more fluidly as a team. Zero fluff, just the good stuff. 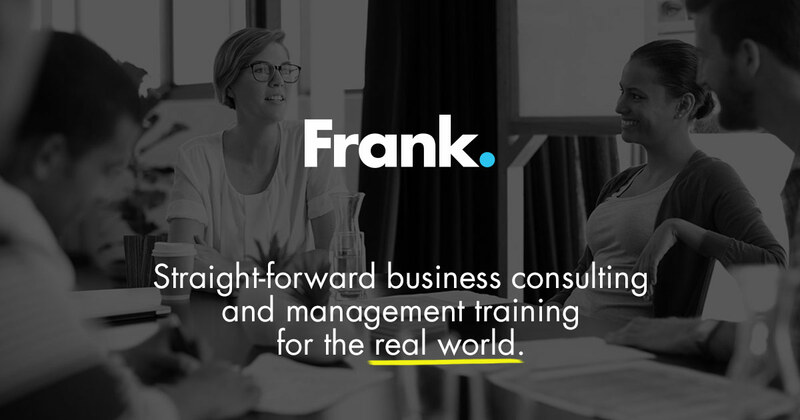 Frank business courses include fresh ideas, insightful group chats, and presentations that are fun, practical and get to the point. Bring an open mind, and prepare to fill it with useful knowledge that enables you to take action right away. Have a specific issue you need resolved? Don’t ignore it or wait for it to get worse. Call Frank for a custom tailored solution that gets your team and business back on track. You’ll steamroll through that rough patch, and hop back on the highway to success.